What Do You Need to Start a Blog? -Let Me Take You By The Hand. Did you know that 61% of U.S. online consumers have made purchases from blog? Compared to 5 years ago, the blogging world has improved dramatically – there are more demand for blogs, there are better blogging platforms, and of course there are people interested in filling that gap by making a successful blog of their own. A blog is just a fancy name for a website which people update and share content to the world regularly. That’s right, if you build a website blog but you’re not updating it regularly, then you’re not being a successful blogger (This is what differs a blog and a boring old corporate website). A LOT of people prefer to read blogs before making a purchase and a lot more of those people would buy straight from a blog after reading it which is why and how a blog can make money. 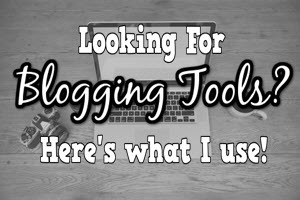 Considering on making a blog of your own? You will be starting your own legacy – Everyone can read your story online! People will look up to you – Not everyone has the guts to start a blog! You learn to improve your skills – The more you blog, the more ideas you will get to write about! You have a broader market – Blogs are read by people all over the world, NOT just locally! Great boost to your profile – Did you know that employers like to hire people with blogs because of the free marketing they get? If you are not confident enough to become a full-time blogger, it is always great to have that additional boost when finding jobs. How Much Money Can a Blog Make? –The Truth About Blogging Revealed. This is one of the most frequent questions I tend to get from people who I teach on building a successful blog. In this world, everyone wants money and if we are to spend our time writing content several times a week, why not make money in the process as well? A lot of bloggers and companies try to avoid answering this question as much as they can because really, it depends on how much effort you putting into blogging. 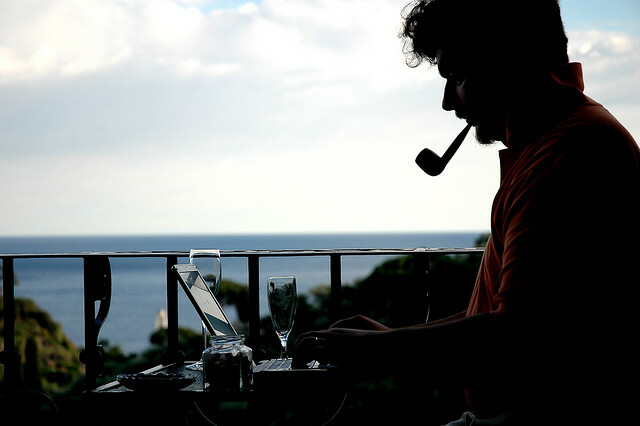 But realistically speaking, you can earn about $500 – $3,000 a month if you do not stop blogging for the first year. It may look small but that is what the nature of blogging is all about – you start small and eventually grow big. The second year is when your blog will finally gain momentum and get a boost of massive visitors from nowhere and the best part? …Is that the traffic (Fancy name for website visitors) comes continuously for FREE! 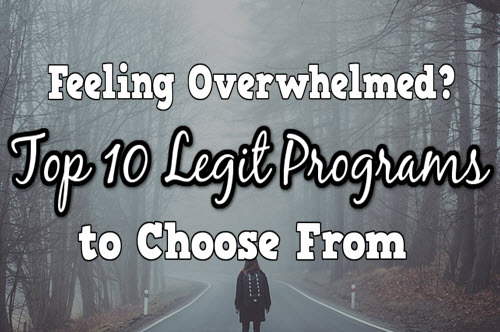 When you get endless traffic, THAT is when your income will start to grow to tens of thousands and the amount that you can scale it to is endless. Did you know that the Huffington Post earns at least $2 MILLION per month from its blog? Okay scaling your blog that high would take years so let’s try a blog that’s more to our level. 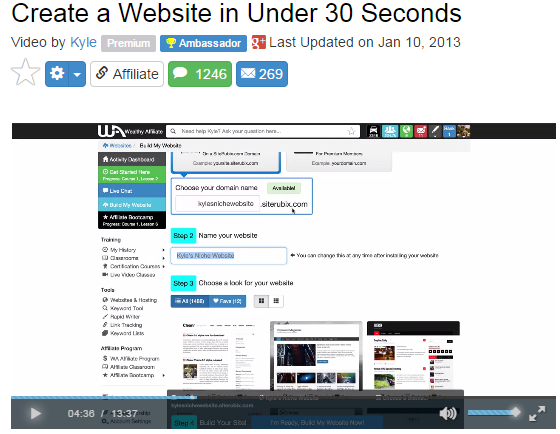 Did you know that Shoemoney earns $30,000 a month from his blog? Shoemoney is a one-man blogger so if he can achieve that, so can you! Sure it is a slow process but that makes up for the ridiculously cheap cost of maintaining a blog which can cost you less than $15 a month. You can also start one for free which I will show you later on. Simply put, if you have the passion to blog frequently, then your earning potentials are going to catapult even faster. Will my blog be quality one, or a cheap one? Will I need to learn complicated coding? Will I need to spend the whole day to build my blog? You may have those problems 5 years ago but today, you can literally build a high quality blog for less than 30 minutes for free! There are many free website providers out there such as Webs and Weebly, but I much prefer Site Rubix (which is the one used in the video) because it is much better performance-wise and of course, in terms of the ease of use. What You Need to Know About Blogging – Tips From a Fellow Blogger. Visuals are a must! –Who doesn’t like images? If you look back and see, the most successful blogs are ones that share not only good content, but images to compliment it. This is because not only will people relate to you better, Social Medias also use images from your blog. Every blog needs a landing page – Also known as opt –in page or squeeze page and sometimes most easily known as a Newsletter subscriber-thingy, every blog needs that because those are actually weapons to attract more traffic to your blog. Always write long titles – Not for people to read, but for people to find your blog easier on the web because by doing that, you make your blog post stand out. For example, “How to lose 3kg in a day by eating pizza” is more interesting than “How to lose weight”. Content is King – Make sure you blog every week to keep the traffic coming and to make sure Google sees that your blog is updated. Want to Know How to Boost Your Blog Income? –Join an Online Community! 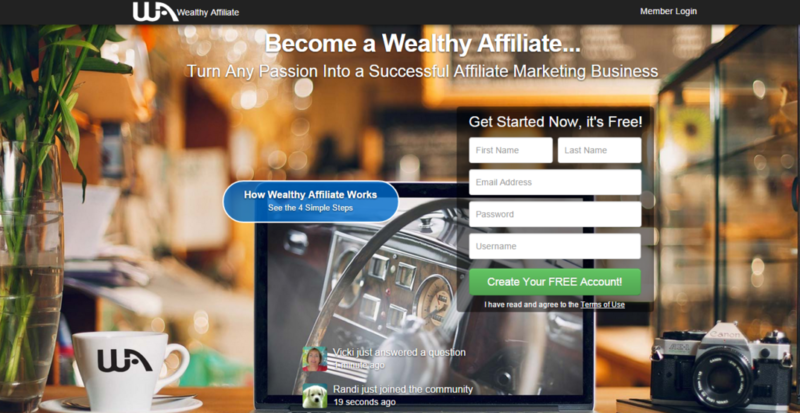 Not just any online community, but an online business community which provides lessons on blogging and the best to date I would recommend, is Wealthy Affiliate. Anyone can make a blog, but not everyone has the opportunity to learn from the best and at Wealthy Affiliate, you can immerse yourself to learn from not only the community of bloggers, but from the online classroom that the program offers as well. Inside, you will learn how to build a successful blog from scratch, and write your blog content to make it more Google-friendly and engaging. 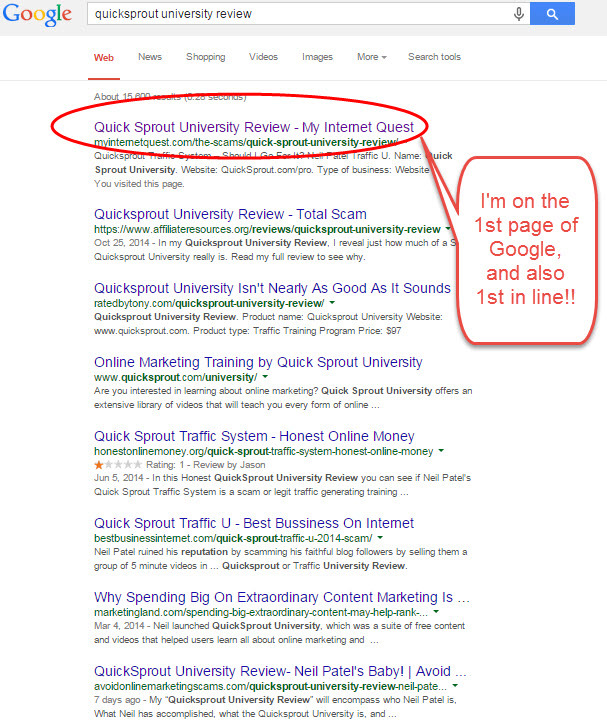 One of the best ways to get more people to come to your blog is by getting it on the first page of Google and so by implementing the knowledge I’ve learned from Wealthy Affiliate, I managed to finally get it up there! VeryDressyFlats.com – A blog about flats for women created by Carla. MySelfieStick.org – Because selfies are a trend! WaysToAvoidScamsOnline.com – A review blog created by Kyle, the founder of Wealthy Affiliate himself! TreasuredCanine.com – A blog about taking care of your canine friend made by Michelle. BrightonComputerAndRetailStore.com – A tech blog made by Kim. 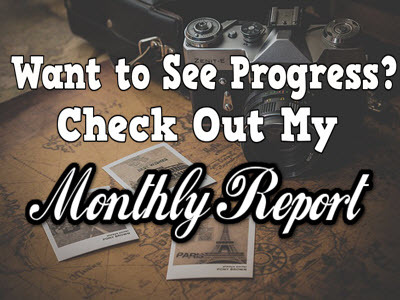 I personally have been a member there for close to a year and will continue to do so for a long while so if you decide to join, I will help you catapult your blog even further with a few tricks I’ve learned while I was building my own blog (Create your $0 starter account here). Blogs are fun as you can literally write about anything you want. As long as you have the motivation in you to write consistent blog posts and join communities to learn to avoid those pitfalls, your blog will rise up to the top in no time! If you are interested in building an awesome and successful blog, check out my #1 recommendation here. One more thing…Happy New Year 2015! Right on Samuel, many new bloggers expect to make that much within a short time frame. I’m guilty of that perception myself when I first started too but blogging is a business and like any other business, it requires consistency and dedication. If its that simple, we’d all be rich now wouldn’t we? Thanks for dropping by, hope you have a great day! 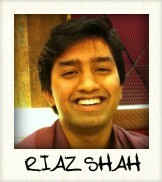 Great information Riaz, really like your site. Hope I can create a blog as good as this!